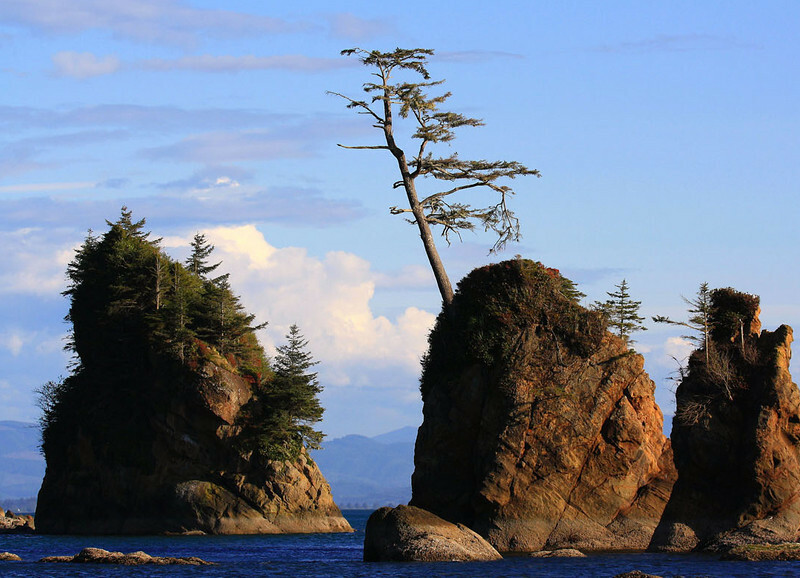 These tall sea stacks are found within Tillamook Bay. The conifers that live on them are partially protected by taking root well above the waterline that’s visible during low tide. The stacks are created when softer rock erodes away, leaving the harder rock for trees and plants to grow on. I love these sea stacks. When I was in Oregon, I saw some similar--probably not the same ones--but I never got shots any where near as great as these. Beautiful shot! I love the comp and colors! Incredible that they can cling to life there. This is a wonderful sea/landscape. Well done!!! Not seen conifers like this!